Roku launches ultra-cheap and Ultra HD streamers | What Hi-Fi? 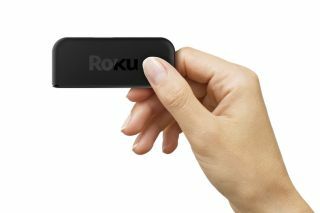 Roku has five new products including the Express and Express+, and the 4K compatible Premiere, Premiere+ and Ultra models. The Express is the company's smallest product and is built to stream 1080p HD content, while the Express+ is for older TVs and comes with a composite AV connection. The Roku Premier and Premier+ both support 4K Ultra HD video, and will upscale 720p content to 4K on compatable televisions. The range also features a night-listening mode which claims to "adjust audio sounds to aintain volume consistency". The Premier+ model also has HDR comparability and a MicroSD input for additional storage, as well as an Ethernet port. At the top of the range is the Roku Ultra which has all the features of the Premier+, while also being compatable with Dolby Digital and Digital Plus, and with an optical digital audio out port so you can connect it to a sound bar or AV system. The Ultra also has a USB port and a "lost remote finder" feature. All of the new Roku players support Netflix and Amazon Prime Instant Video. The Roku Ultra is priced at $130, and the range will be available for pre-order from today in the US. There's no word on UK pricing or availability as yet.